I guess it's the "effective" bit that raises the hackles..
Hi guys, I know this is an old post but I'm following a trail of bread crumbs and thought you might have some info. I also have an old sl500 windlass which love. As it happens its sitting on a double ended ferro gaffer as well. My girlfriend and I are just about to leave on our first extended cruise and I wanted to get a second anchor chain. The links seem to be 3/8" but are shorter than any chain I can find info on. Just wondering if you've bought and new chain or can shed any light on the issue? Morning (well it is here) - apologies for the delay in getting back but not sure I'm going to be of much use. I've just checked our chain (not new but s/h and not much used when bought)and the links are 48mm long x 35mm wide x 10mm. How does that compare with what you have? I have had a number of SL500 owners write since this was first published so perhaps they could chime in? Drop us a line with your boat, plans and possible destinations and we'll keep an eye out for you. It sounds as though the pawls are not engaging the ratchet? 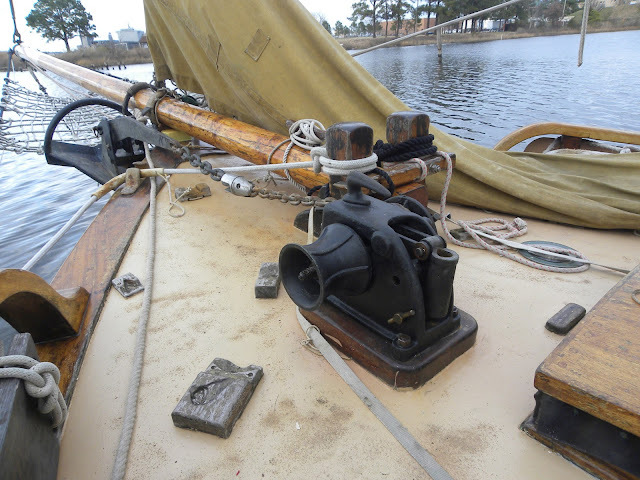 If you look through the gap at the top you should be able to clearly see a pawl at the top and another at the bottom of the ratchet as the windlass operates on both forward and aft stroke. You can strip it down, clean it all up and reassemble without too much difficulty...Don't know of any manual but perhaps I'll get around to doing a series of pics as a separate post. Thanks for the kind words too. 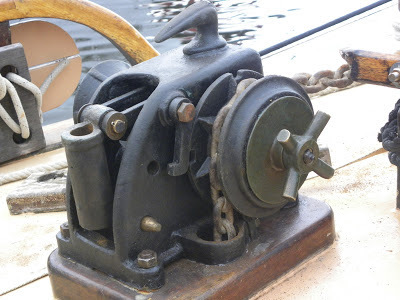 Another though - make sure the bronze "handle" on the brake is screwed tightly home. Let us know how you get on. Helpful advice, thank you. Yes the Pawls are not connecting I thought it might be missing some springs but I will try taking it apart and clean. Cheers. 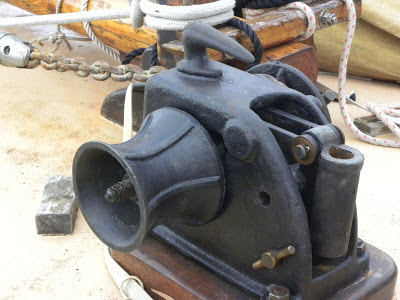 Just reading voyaging on a small income and your posts remind me of that timeless simplicity.